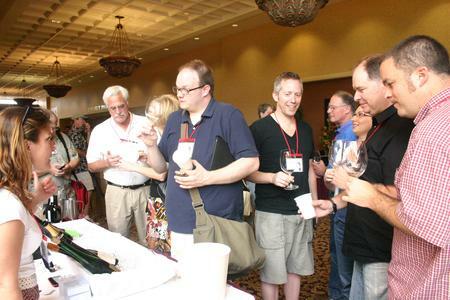 That was the mutual afterglow of the wine bloggers who attended the 2010 Wine Blogger’s Conference. 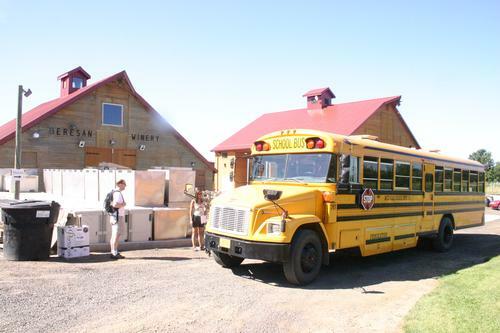 The three-day conference was held at the historic Marcus Whitman Hotel in Walla Walla, Washington; an anticipated change from previous wine blogger conference venues in the California wine country. Would wine bloggers actually make the trip out to this teeny town in the middle of nowhere? A sold out attendance of 300 wine bloggers with a waiting list proved they would! By seeing a show of hands that almost half the room was first time conference attendees, I assume their waiting lists will only grow in time. From the moment I arrived, it was like I had walked in on a family reunion. “It’s so nice to finally meet you!” was the common greeting. Even though many of these people had not met yet, they all knew each other very well. There were far more hugs than handshakes; these people go way back, before their small wine blog had its own domain name, before their hobby took over their day jobs. Joe of 1winedude.com, who won this year’s Best Wine Blog Overall award, had more than three bloggers come up to him within twenty minutes of his arrival to offer their condolences about the health of his dog, Sam, a common topic in his posts. This was my first Wine Blogger’s Conference and I was quite impressed. Zepyhr Adventures organized 300 wine bloggers for three days, and stayed on schedule to the last half hour of the conference. Every attendee I met had nothing but great things to say about the venue, speakers and the overall experience. Hot topics discussed throughout the weekend were on mobile apps, vlogging (video blogging), transition of old media verses new media and the importance of finding your voice. Impressive keynote speeches from Steve Heimoff of Wine Enthusiast and Lettie Teague of The Wall Street Journal offered great insight on print media verses digital media and both stressed the great responsibility for bloggers to be transparent. The Friday taco truck lunch provided a unique experience that was very playful and delicious. The evening wine tasting at the tasting rooms in downtown Walla Walla offered outsiders a great opportunity to see the town and sample some of Walla Walla’s best. The Saturday field trip out to different wineries to experience a vineyard tour and listen to a panel of wine makers discuss secrets of wine making was eye-opening. Who knew Semillon was so incredibly underrated? Winemakers Caleb L.E. Foster of Buty, Jay Soloff of DeLille and MartinClubb of L'Ecole N 41 proved how much I had underestimated this varietal. 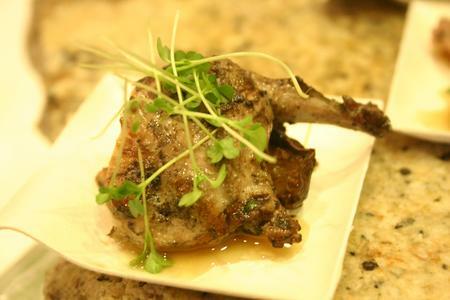 Chef John Sarich of Chateau Ste. Michelle winery paired delicious beef and morel sliders with Northstar wines on Friday night. Saturday night bloggers had the opportunity to dine with a winemaker at their table while gourmet dishes, made by Chef Hank "Bear" Ullman from the Marcus Whitman Hotel, were passed around. My personal favorite speaker of the conference was Chef Jeffrey Saad, who speaks as passionately as he writes about food and wine. And, lastly, we ended with an unbelievable wine and food pairing lunch at the Marcus Whitman on Sunday that I am still talking about. Overall, I learned that I wasn’t writing nearly enough as a blogger. Steve Heimoff believes it’s important to blog 5 days a week. Many other wine bloggers argued that bloggers need to write every day. Wine bloggers were very passionate about promoting honesty and originality in wine blogging. Just because wine writing is moving digital, doesn’t mean that it isn’t just as meaningful. Equally stressed, was the importance of voice. It takes time to write content that is really you. “Write as if you are writing a letter to your best friend.” That was a great piece of advice from wine writer, Lettie Teague on finding your true voice. Due to the extended rain this year, the Walla Walla countryside was lush and more green than what was typical for late June, and the weather was gorgeous all weekend. As a Washington gal, I was grinning with pride for Walla Walla. Not just for its scenic beauty, but for the remarkable wine making talent that is coming from this region. The Wine Bloggers Conference exceeded my expectations. I met some incredible people and was truly inspired. I can only imagine what is in store in 2011 when the conference is in Charlottesville, Virginia.